How Far is Vertex Panache? Welcome to an abode of meticulous apartments for sale in Hyderabad, a project so marvelous which stands firm in the heart of Gachibowli. This thoughtfully designed project Vertex Panache is brought to you by one of the top builders in Hyderabad, Vertex Homes Pvt. Ltd. and it is truly one of the gemstones, developed by the group. This project is a perfect example of contemporary lifestyle and modern day house. This residential enclave is superbly crafted and is designed in a very unique concept that is of unmatched quality, it suits and competes with the international standards and is perfect for a comfortable lifestyle. 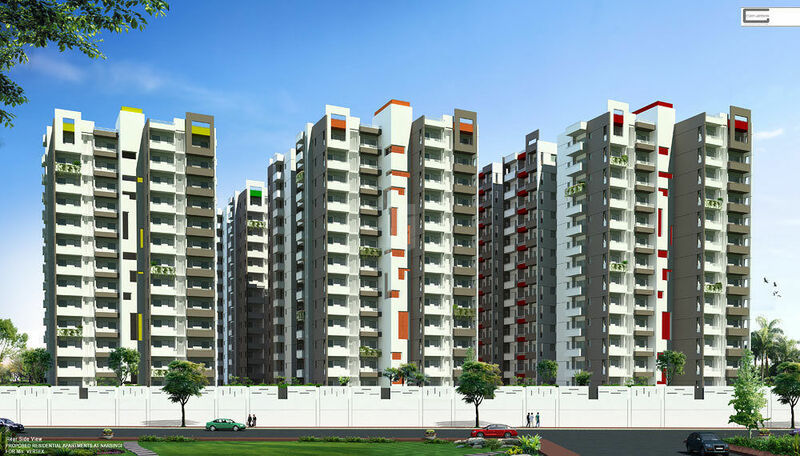 It offers you ready to occupy 2BHK apartments for sale in Gachibowli with a size range of 1265 sq. 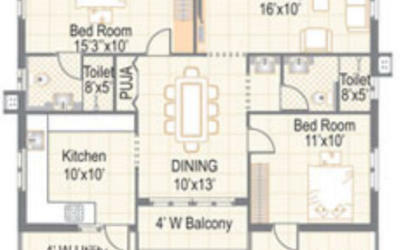 ft. as well as 3BHK with sizes ranging from 1435 - 1890 sq. ft. apartments for sale in Hyderabad. This project opens many vistas for the whole family. These apartments are an added luxury to your life, they are filled with the best quality features and happens to be the most desirable housing in the locale. If you are looking for a home that is complete in all the aspects and serves all your purposes, right from a peaceful lifestyle to the best possible location, Vertex Panache is the place you must look in. The project location gives you easy access to the famed schools, hospitals, shopping centers, and other civic utilities. RCC framed structure to withstand wind and seismic loads Zone ll. Double coat cement plaster with sponge finish. Main Door: Teak Wood Frame and shutter with teak veneer aesthetically with melamine spray polish and designer hardware of reputed make. Internal Doors:Teak wood frame and flush door shutters with veneer, standard hardware with melamine polish. Windows: UPVC/Aluminum frames fitted with tinted glass and hardware of reputed make. Internal Wall: Premium emulsion paint with putty finish for both walls and ceiling. External Wall: Textured finish with2coats of premium brand paint. Concealed copper wiring in conduits of standard make for lights, fans and power plug points wherever necessary power outlets for air conditioners in all bedrooms and other identified areas. Power plugs for cooking range chimney, refrigerators, micro wave, and mixer grinders in kitchen. Plug points for TV, computers, etc. Wherever necessary. MCB & ELCB For each distribution board of reputed make. All electrical fittings of reputed brands. Telephone Point in master bed room and living Room. Provisions for cable connections in master bed room and living Room. Passengers and Goods lift for all blocks.